Turmeric is known to be a bright, yellow spice which is commonly used in many Indian dishes. However, what many people don’t know is that it is also commonly used as a beauty product that helps brighten complexion by reducing pigmentation in your skin naturally, without the use of any harsh chemicals. It is known to be the royal treatment for your skin, as many Indian brides use a turmeric face mask before their wedding in order to lighten, cleanse and brighten their skin before their big day. Turmeric is known to significantly reduce the appearance and growth of FACIAL HAIR (with regular use, results should be seen within a month!). Turmeric is known to treat acne and reduce your number of breakouts. It is especially good for oily skin because it helps regulate the production of sebum. The beauty of this recipe is, there are so many options! However, I would not recommend mixing the plain yogurt with too many things, because it may mess up the viscosity of your mask. 1) The one that has worked the ABSOLUTE best for me is the honey and the turmeric mixture. Honey is known as an anti-bacterial, anti- inflammatory, anti-everything bad miracle and works wonders on your skin, leaving it soft, supple, and smooth with reduction of acne. In this recipe, I tend to mix about 2 tablespoons of honey with half or third of a teaspoon of turmeric. You can leave it at that, or add a quarter teaspoon of cinnamon, which helps reduce and get rid of nasty blackheads, half a teaspoon of almond oil, which softens, moisturizes, and brightens disheartening dark circles underneath your eyes, and a squeeze of lemon, which helps reduce acne. Mix that all up with a spoon, spread it evenly on your face, leave on for 15 to 20 minutes and wash out thoroughly with water.After using this mixture, my skin’s complexion is noticeably more evenly toned and brighter, and it has also helped reduce my acne to almost nothing (I had little breakouts here and there). I would recommend this for any skin type. It does not dry and it does not clog pores. 2) Another mixture that is useful in reducing the appearance in stretch marks is the plain yogurt, honey and turmeric mix. This mixture would use about a teaspoon of honey, a teaspoon of yogurt, and a teaspoon of turmeric. After mixing all that up, you would take the mixture and spread it on your tummy, to prevent stretch marks during pregnancy, or wherever else you would like to add a bit of elasticity to your skin (that’s your own business). Leave this on for 15-20 minutes and wash off with water. 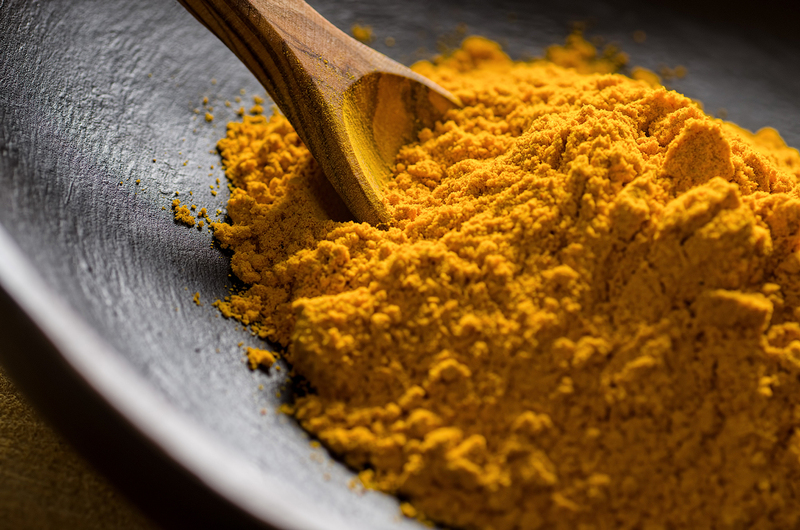 3) The last mixture that you can try out is a mixture of turmeric, sandalwood powder, and water. This mixture is known for the reduction of acne. What you do is mix half a teaspoon of turmeric and a teaspoon of sandalwood powder and mix this with a bit of water until you reach the right viscosity. You can also try replacing water with 1 1/2 tablespoons of honey, which I highly recommend since it would be easier to spread on your face and honey has many benefits for your skin. Mix this up, apply to your skin evenly, and leave on for 15-20 min (like any other face mask). Rinse off with water and air dry your face for best effect. Experiment and try different combinations of these ingredients for yourself! Use one of these face masks every second day for best effect. You should see results in less than a month! Turmeric is good for burns as well. Mix some aloe vera or honey with a bit of tumeric and apply to burn. It should reduce redness and scarring. Turmeric is also VERY healthy to eat as well! It is known to be good for digestion. So if you have any digestion mix a bit of turmeric (quarter of a teaspoon) with a glass of lukewarm milk and drink and it should help regulate your digestion as well as help with diarrhea. WARNING: Turmeric WILL stain fair skin yellow. So if you plan on going out in a couple of hours after using this mask, think again. But have no worry, it’s only temporary. After a couple washes or a shower, that yellowness should come completely off (in my past experience, and I have pretty fair skin). Do NOT wash your skin many times a day to get the stain off, as this is only worse for your skin and will dry it.